Unless you’ve been living under a rock, you’ve surely heard of the Beats by Dre line of headphones. These iconic, colorful headsets essentially started the trend of fashion oriented headphones, but still gave consumers what they wanted in the audio department. Today, the Beats lineup is larger than ever. They’ve got everything from high-end studio headphones, to athletic headsets, and virtually anything else you can think of. Now, if you’ve recently picked yourself up an iPhone 7, you’re probably on the market for a pair of headphones that don’t require your long-lost headphone jack. Well, the Powerbeats3 are likely the best in-ear choice for any iPhone 7 users. Once you see the improvements that have been made from the previous model, you’ll likely agree. 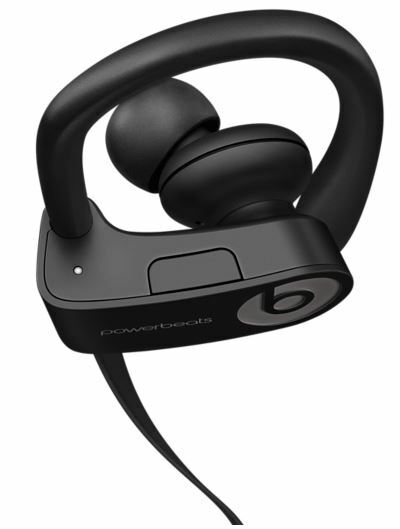 The Powerbeats2, at the time, were considered to be a pretty solid wireless headset. Unfortunately, a couple small disadvantages put many people off. 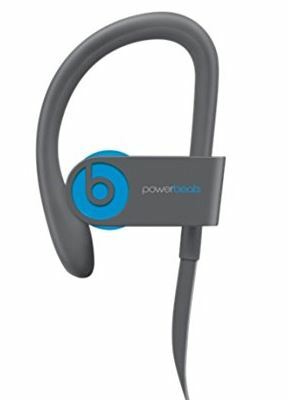 Thought they look the same, the Powerbeats3 are a whole new system underneath the flashy plastic exterior. Let’s take a look and see how they stack up. When it comes to wireless Bluetooth headphones, manufacturers often follow a pretty consistent design trend. 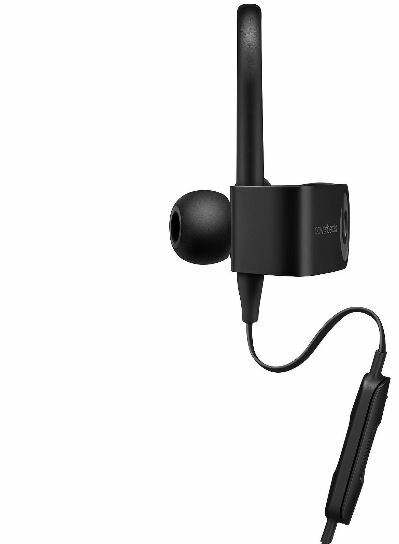 With in-ear headphones, that trend has been to make them as small as you possibly can. That’s why we were a little surprised to see the Beats had gone with the classic “ear clip” design that was so popular in the early 2000s. Of course, if any company could tastefully update a classic design, it would be Beats. 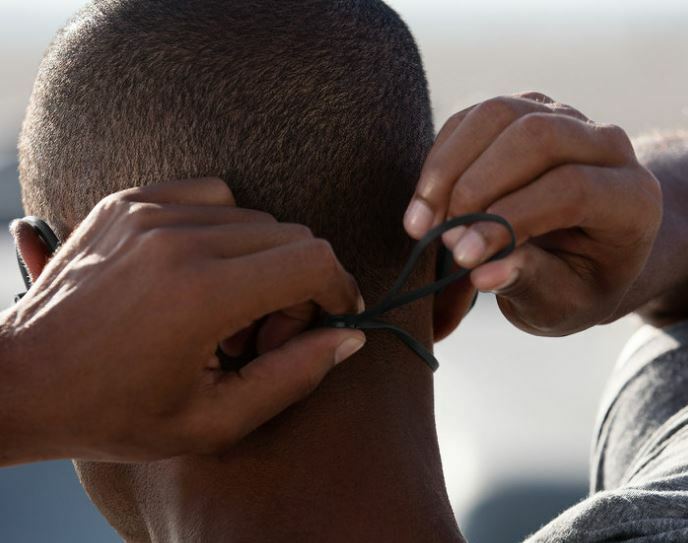 There’s a single wire that goes behind the head, connecting the two earpieces. As an added benefit, a small tightening bead is attached to the string to allow you to pull it tight. 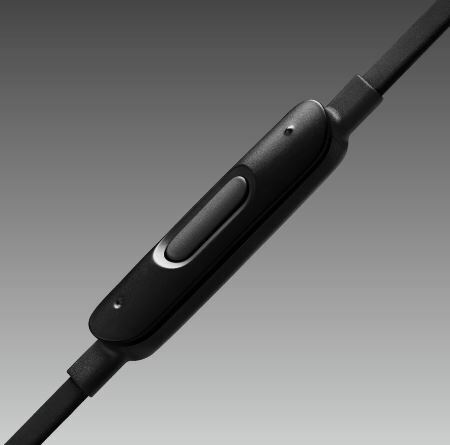 Aside from an inline volume control, the headphones appear to be pretty similar in design to the older model. It wasn’t until we started using them that we discovered how impressive these headphones were. Beats headphones are a fashion item. If you came here expecting to find something that stands out, you’re in luck! But that doesn’t mean that there isn’t something for everyone. There are four main color schemes. Two of these designs are similar to the loud appearance the brand was founded on. The black and yellow models are, for the most part, still black. 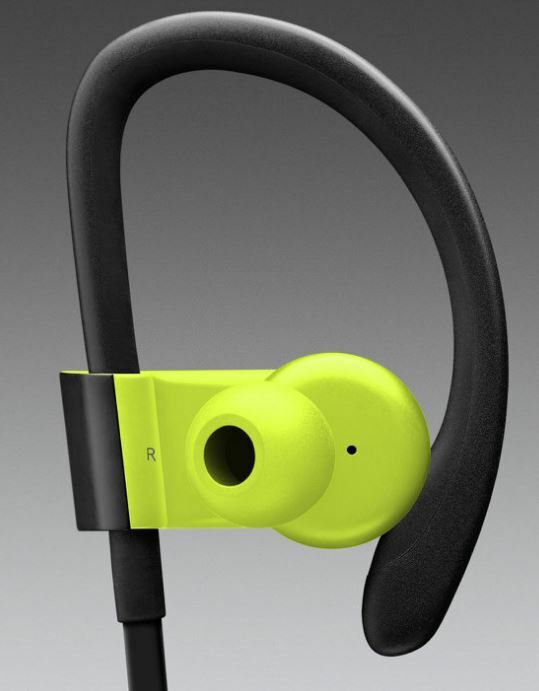 But the inner part of the headphones and the Beats logo are both illuminated with neon yellow. The blue and gray models are a little more reserved, but still make a little bit of a statement. They also have the standard colors, either black or white. But whichever color you choose, the Powerbeats3 still look great. Most of the time, the ear clips are tucked in behind your ear. This means that all you see is the flat bar extending out from the front of your ear and tucking itself in. For an older design, the Powerbeats3 certainly have a modern appeal that can be appreciated by all. These in-ear headphones have been designed, from the ground up, for those of us who like to get outdoors and active. This means that they are very lightweight, durable, and stable while being worn. Most companies only provide 3 different sizes of ear pieces, but Beats provides four. Personally, we liked having the ability to go one size up and wear them a little tighter than usual. This holds them in your ears quite well, so they don’t pop loose while running – a very common issue with in-ear Bluetooth headphones. If you follow the flat-faced wire all the way back, you’ll notice a tiny little beat clipped onto it. This works just like a drawstring for your jacket. You can tighten the cables, so it rests around your neck. Although we never had any problems with it, this would allow you to tighten the headphones if you wanted to prevent them from falling off. The ear clip is a little tighter than some, but we really didn’t notice it except when we immediately put them on. And when you’re on the go, the clips really make a huge difference. If you’ve used in-ear headphones before, you know that if they start to fall out you immediately lose all of your low-end extension. For this reason, we were very happy that the Powerbeats3 stayed in place. From a distance, it’s hard to know what to expect from the Powerbeats3. At first, they look like your typical plastic headphones. But when you pick them up, you notice they are much more lightweight than you are used to. But this doesn’t mean that they’re cheap, the enclosures feel very solidly built. From handling them, it’s pretty clear that they can stand up to regular use. Because they’re designed for athletic activity, they’re built to be water resistant. This doesn’t mean that you can go swimming, but you certainly won’t ruin them from sweating during your workout, or even getting caught in an unexpected downpour. Often, we’d be reviewing these two features separately. But there’s one key element to the Powerbeats3 that requires we look at these features together. Bluetooth is quite a power-hungry standard. Transmitting radio signals through the airwaves is much more power demanding than receiving it through a cable. This is why so many Bluetooth headsets are often bulky or limited on playtime. But the Powerbeats3 has a trick up its sleeve: The W1 chip. The W1 chip is apples inclusive wireless chipset that has a ton of great features. Most importantly, it’s one of the most efficient wireless Bluetooth systems on the market. For starters, it’s completely backwards compatible with the Bluetooth standard. This means that it will work with any of your devices, regardless of operating system. You’ll be able to stream the highest quality audio, without any distortion or compression. But our favorite part of the Powerbeats3 is the battery life. Thanks to the W1 chip, they’ll last you 12 hours per charge. They also charge quite quickly as well, with only 5 minutes of charge giving you 1 hour of use. For a pair of Bluetooth headphones, the sound quality is pretty impressive. You’ve got a bit of that “Beats” sound that everyone’s expects from them. They have heavy emphasis on the low notes, smooth sounding highs, and level mid-ranges. They certainly sound much better than Apple’s Airpods, which are currently the only other headphone on the market using the W1 chip. The Powerbeats3 are best used with bass heavy music. Pop, rock, and electronic music all sounded great. 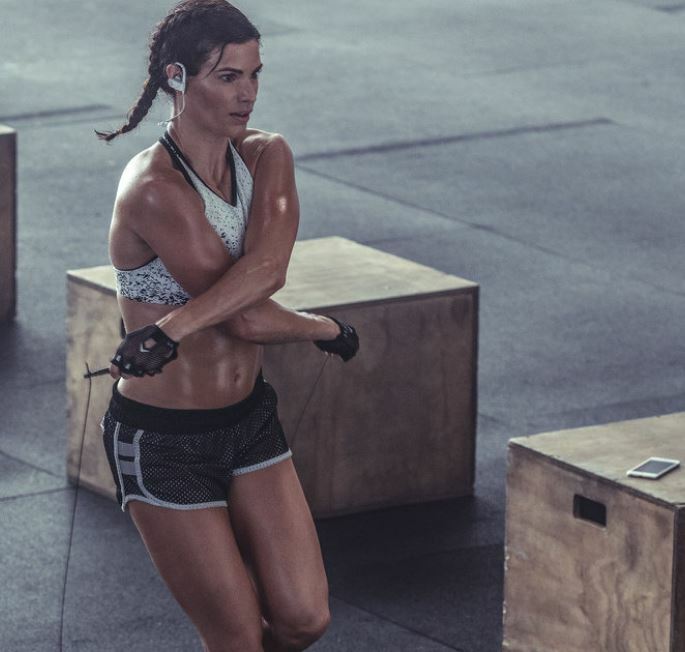 These headphones have a bit of energy and vibrancy about them that really enhance your workout. If you’ve used a pair of beats headphones before, you certainly know what I’m talking about. That being said, serious music fans who demand the type of headphones that present the most accurate representation of their music might want to look elsewhere. Instead, Beats has continued to provide us with the signature sound that made them one of the top headphone manufacturers in recent time. If you’re a fan of the Beats line and you own an iPhone 7, then these headphones are clearly the best choice for you, thanks to the W1 chip. Even without an iPhone, there are still plenty of benefits from the Powerbeats3. They are very durable, and the battery lasts for a long time. They stay in your ear quite well, so you never have to worry about them falling out. 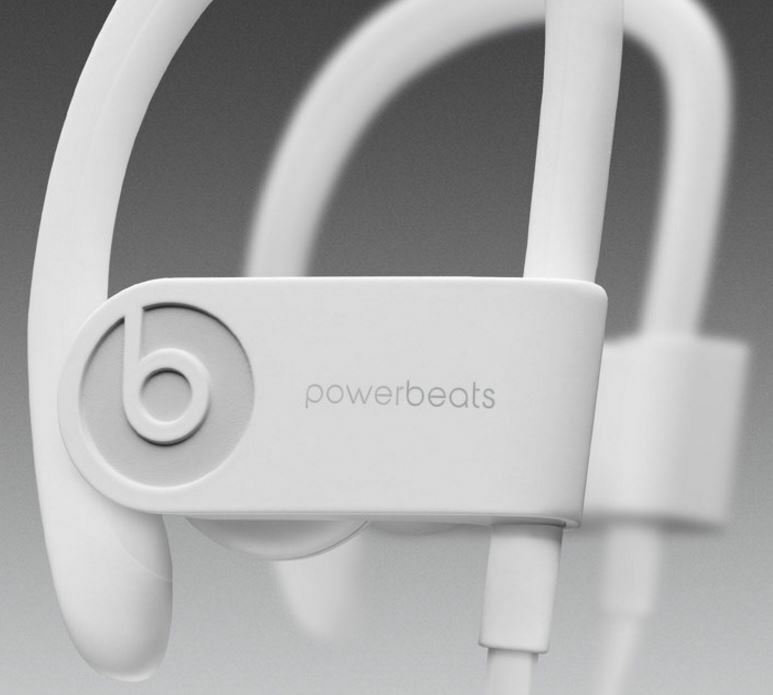 And of course, the iconic Beats design is now just as much of a fashion symbol as some leading brands. Of course, these headphones won’t be for everyone. If you like the concept of the beats but your primary focus in audio quality, you might want to check out our review of the Sony MDR-XB80BS. These headphones are very similar in a lot of ways. You get a few bright colors to choose from, and they stay very firmly in your ear. Some people prefer the more balanced sound of Sony headphones, instead of the bass driven style of Beats. That being said, if you really care about sound quality, then fitness headphones aren’t really the right choice. 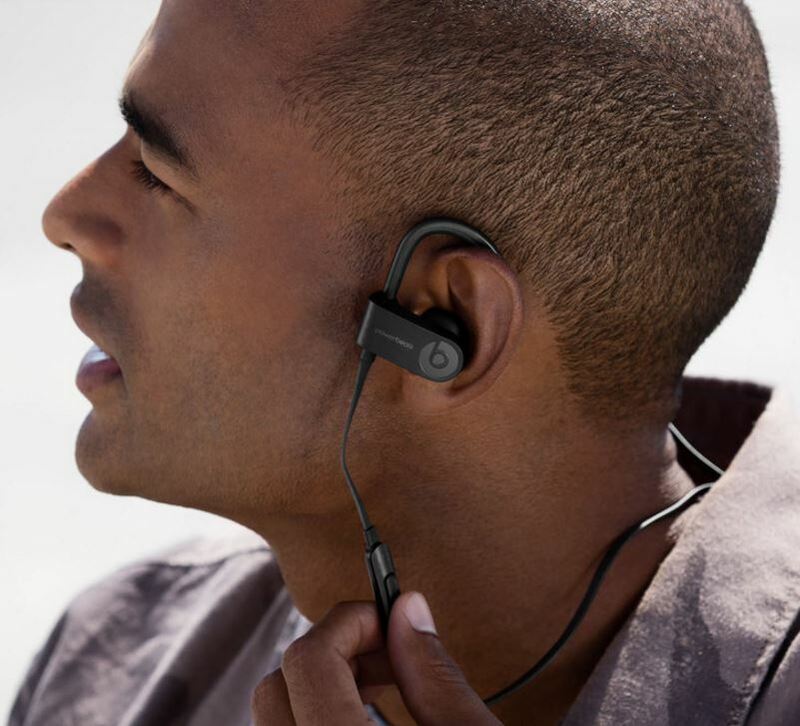 For serious music fans, we recommend that you consider the Plantronics Backbeat Pro 2. Audiophile grade sound is difficult to find in earbuds. 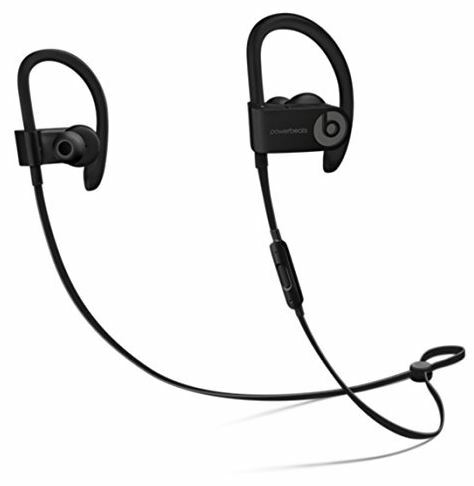 But for everyone else, we think that you’ll be very happy with the Powerbeats3. After all, they’re one of the top selling headphone brand for a reason. Do you know how waterproof they are? Could you go swimming with them on?